If you find your fingers are generally a raw, bloody mess due to your boredom-induced nail-biting, or you're driving your work mates insane from your desk-drumming and pen-clicking, fidget toys might be what you need to stop you "going postal" . Stress balls and desk toys have been around forever, but a recent trend in fidget toys adds a collectible, high quality -- and often expensive -- flair to finding a place to dump your excess energy. 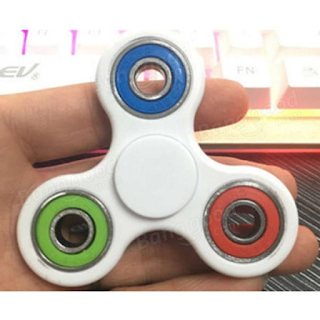 EDC Fidget spinner $3.89 Nice and cheap with a choice of colours.